How Long Does Chimney Masonry Last? Now that spring is here, many homeowners will head outside to work on their home as well as checking for any damages from winter. One of the areas that should be looked at, especially if your home is older, is your chimney. 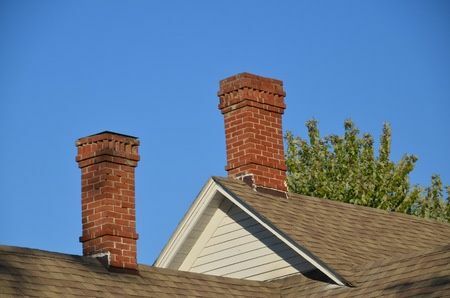 If your home’s chimney was built in the 1950s, chances are your chimney is a brick and mortar style. Since the ground is regularly moving – slight fluctuations during temperature changes, moisture levels and even small earthquakes – chances are good that your chimney has moved as well. Houses are a bit elastic in the sense that if there is a little bit of movement, the house will follow. However, after a while – say, five decades, for example – the combined years of stress can take a toll on the bricks, causing them to crack and potentially need to be replaced. That’s why it is important to inspect your chimney often, and if you’re not sure what you’re looking for, contact an inspector or roofing company to come and take a look. Roofing experts like the team at Roofing by Bruce can make sure that your chimney is either in good shape or is need of attention, and can identify what problems might be in need of repair. The last thing you want is for loose brick to come loose unexpectedly, damaging your roof or – worse – hitting a car or even a unsuspecting person who could be below. The elements can also be very damaging to these older chimneys. Sun, windstorms and rain all can cause mortar to wear out, meaning that you’ll need to rebuild your chimney or re-pointing it, which is grinding out broken pieces of mortar and replacing them without removing any bricks. An inspector will be able to identify damage to the chimney from the weather and can put you on the right path in regards to fixing it. At Roofing by Bruce, our full range of roofing services includes inspections and repairs. We’ve helped countless clients throughout the Pennsylvania Poconos, and are standing by to help you at your home. If you would like more information on our services, give us a call at 570-424-7252 today!